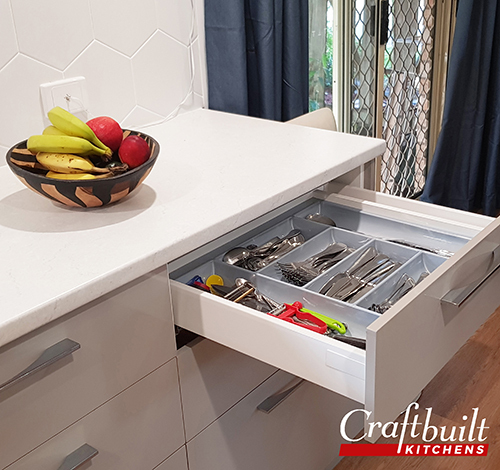 This client met with Justine from Craftbuilt Kitchens on the recommendation of a friend. 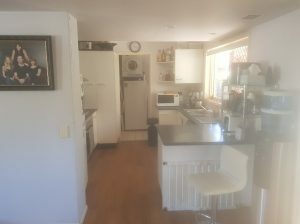 She came forward with concerns about a poorly designed pantry area and no overheads. 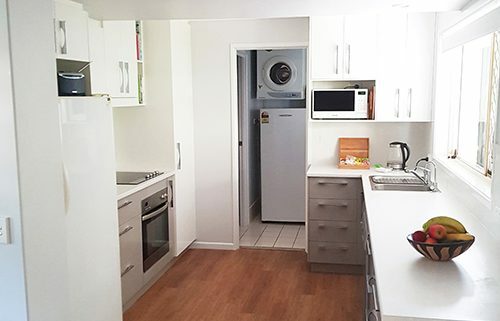 Our client was struggling to find enough storage within an already small kitchen space to house the basics. Being in a unit complex, the upstairs bathroom plumbing ran through a dropped ceiling section across the center of the kitchen which limited design options. Our client wanted to improve on storage accessibility as much as possible. 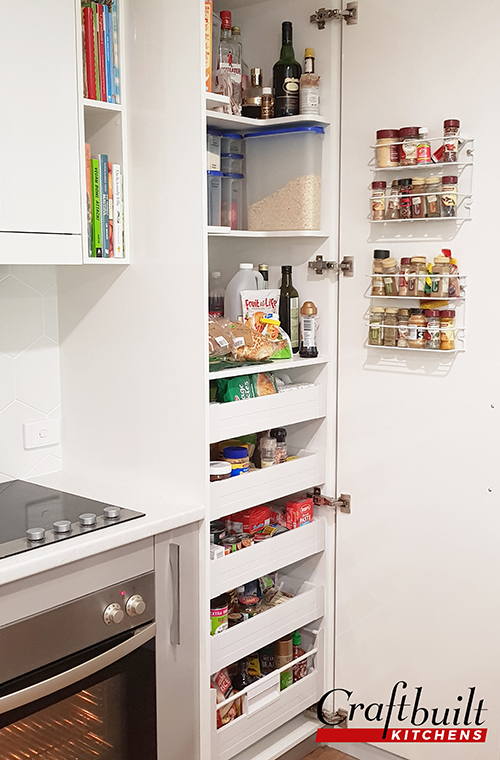 By straightening the awkward corner pantry, we were able to fit internal pull out shelves to maximize storage within this one cabinet. We also followed the line of the dropped ceiling with the overhead cabinets, ensuring no wasted space. 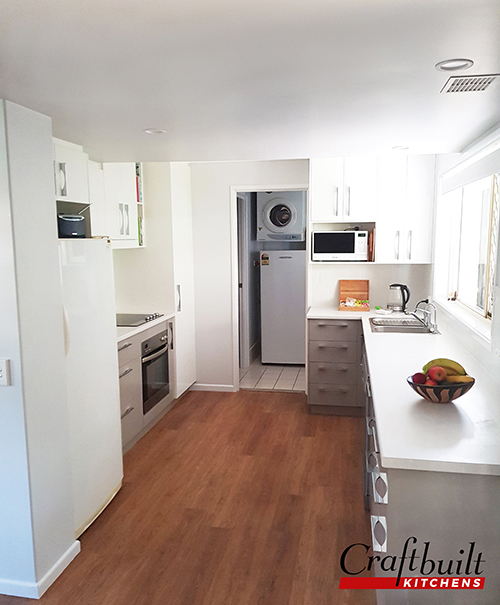 The decision to remove the return and extend the bench all the way to the back door created a more spacious feel by providing a wider walk through area. It also removed another awkward corner cabinet where items got lost and opened up room for two banks of beautiful accessible drawers. 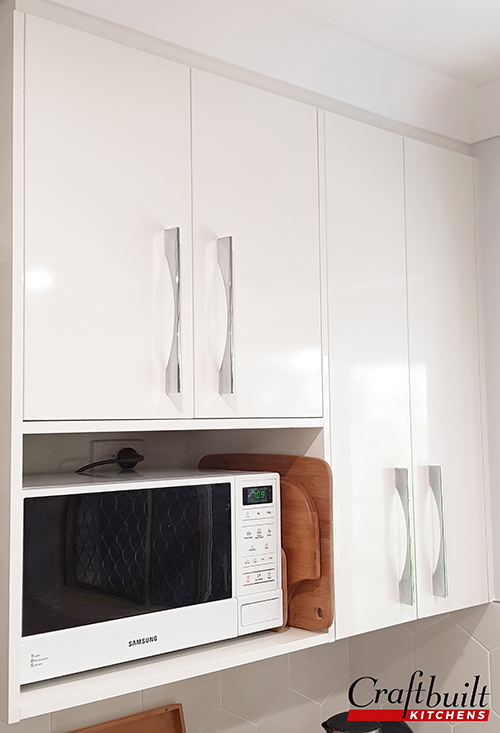 PolyTec Classic White was selected for the bench and tall cabinets whilst using a softer contrast for the under bench cabinets in PolyTec Stone Grey. 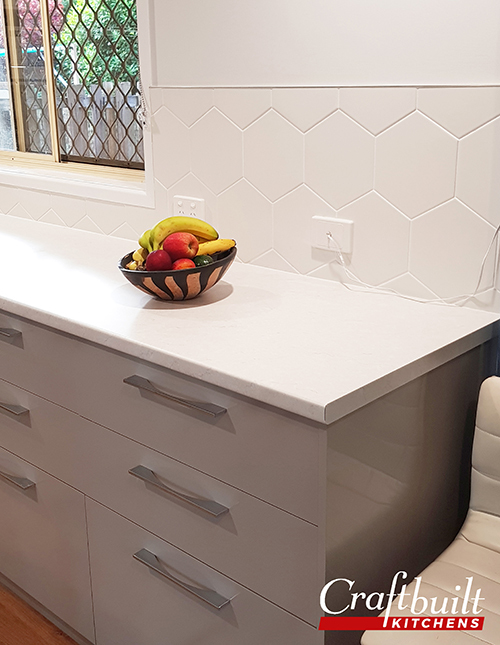 To add to the character of the kitchen the client chose the perfect complimentary hexagonal tile which has finished of the kitchen beautifully. 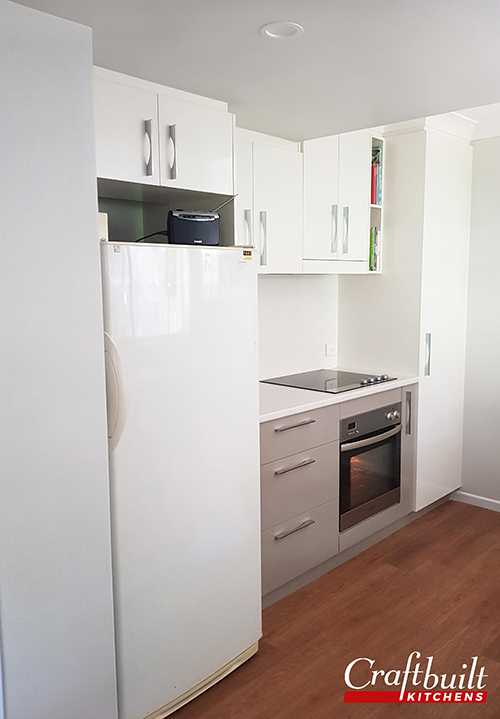 This kitchen has been transformed from a pokey awkward space to a more spacious modern style kitchen that now comfortably allows three people to work in. 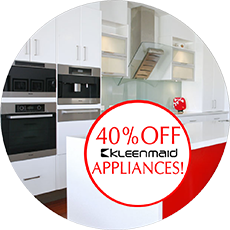 There is also more storage with the addition of a bank of drawers and extra overheads. 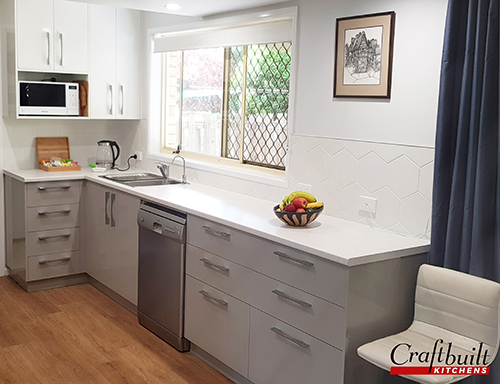 Our client was so impressed with her experience with Craftbuilt that she has already recommended us to her neighbours who now have their very own Craftbuilt Kitchen as well. Another Craftbuilt Dream Kitchen achieved! 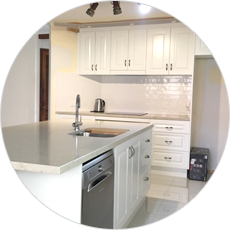 If you’re looking to accomplish your own dream kitchen project, our designers at 2958 Logan Road, Underwood, QLD 4119 are happy to help you. 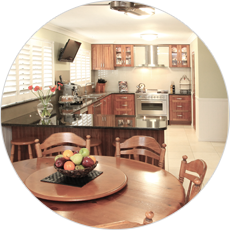 You can also call us at (07) 3341 9166 to set an appointment. 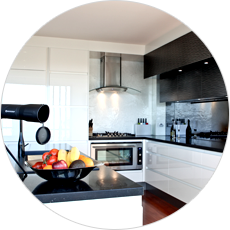 How to Organise Your Fridge Invest in the Best Appliance You Can Own And it Gets Even Better!